The Colorado Avalanche erased a three-goal deficit against the Penguins on Tuesday, only for Patric Hornqvist to score a record-breaking hat trick for Pittsburgh. Hornqvist scored three straight goals in the final frame to power the Penguins to a 6-3 victory, capping off a crazy game in which the teams traded three-goal periods. The Penguins got things started when they jumped out to a 3-0 advantage after Jake Guentzel, Evgeni Malkin and Derick Brassard all found the back of the net in the opening 20 minutes. Then it was Colorado’s turn, with Tyson Barrie, Carl Soderberg and Matt Nieto each filling the net in the second period to even the score. With the score tied 3-3 to start the third period, Hornqvist took over. The 31-year-old tallied his first of the night on the power play, pouncing on a rebound at the 6:11 mark to give the Penguins the lead. 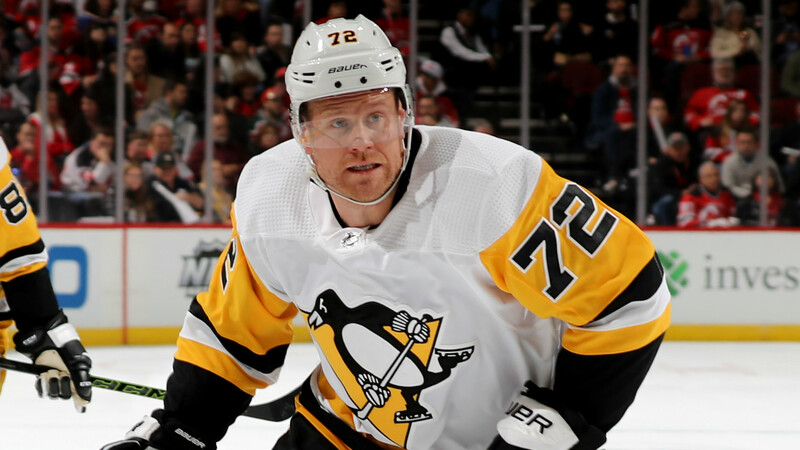 Hornqvist struck again less than 90 seconds later, after Malkin intercepted the puck at center ice and worked his way into the Avalanche zone. Malkin fed Hornqvist on the right wing, and the Swede ripped a slap shot past a sprawling Semyon Varlamov. Hornqvist completed his hat trick at the 8:58 mark after collecting an errant clearing attempt at the high slot and quickly unleashing a low shot beyond Varlamov. The three goals by Hornqvist was the fastest hat trick in Penguins history, taking just 167 seconds to complete. Patric Hornqvist scored three goals in a span of 2:47 (167 seconds), the fastest three goals by one player in @penguins history. The previous record was held by Nils Ekman, who needed 4:10 to score three times in a game in 2006.